For Etsy sellers, there is one sound in particular that floods us with an intense wave of excitement and anticipation: the cheerful “Cha-Ching” notification sound that signifies a new order. The sound is an auditory confirmation that our hard work has paid off: there’s a real human being—usually a stranger—spending their money on our product. Needless to say, this sound is deeply gratifying and many sellers, myself included, become quite attached to it. When there’s a technological glitch and the notification doesn’t work, melancholy vendors flock to Etsy groups to lament the loss of their favorite sound. We feel as though we’re being robbed of one of the highlights of our days! After I revived my own website to supplement my jewelry shop on Etsy, and the orders started trickling in, I realized I missed hearing cha-chings. So what is one to do if one wants to hear this beautiful sound yet doesn’t sell on Etsy? For my jewelry website I use the platform Indiemade. I’m sent an email when I receive an order, however I don’t receive a text notification, nor does Indiemade have its own app for orders. I also don’t have my phone set up to give me notifications for new emails. (If I did, it would go off, like, every 2 minutes and would drive me bonkers!) Because of this, I only saw website orders when I specifically went to check my email. That led to me checking my work email more often than I wanted to, because hey, it’s been 5 minutes, and you never know, maybe an order came in! It was killing my productivity. So I turned to the very handy If This Then That app. In my case, I used it to get my phone to serve up a similar and equally gratifying cha-ching sound when I receive a new order on my website. Not gonna lie, the first time it worked, it was sweet, sweet music to my ears! The notification doesn’t give me information about the order itself – which is fine by me. It’s just gratifying for me to hear the cha-ching, and then I go to my email to get the details of the order. I’ve had a few other sellers ask how I did this, so I created this blog post to walk you through the process. Fair warning – there are a LOT of steps. However, they can be grouped into 3 main stages, and you might already meet the Stage 1 conditions. Keep reading for step-by-step photos and details for each stage. That’s it! Each of the above stages is made of a ton of little steps and things can get a little convoluted, so I’m going to break it down as best I can. You will have to make adjustments along to way to account for your own particular circumstances. 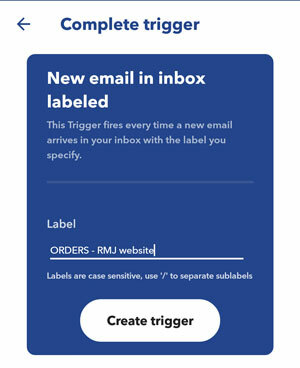 You’ll need to create a “label” and assign it to all order notification emails. If you aren’t familiar with how to add labels and filters, here’s a step-by-step walk-through. I’m using Firefox on a Mac for these screenshots. Click on the gear icon in the upper right of your Gmail and then click Settings. Navigate to the Labels tab, scroll down until you reach the Labels section, and click create new label. 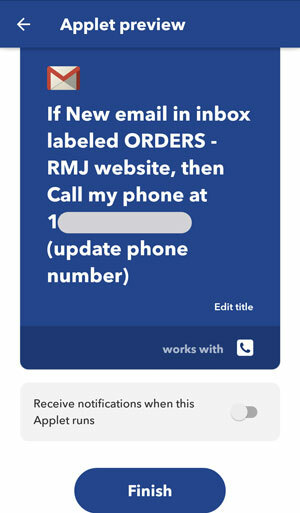 In the popup window, type the label name you want to use for new orders on your website. (Feel free to nest the label in a larger category – for instance, you may have an overall “Orders” category with separate labels for order notifications from Etsy and/or other shops.) Click the Create button when you’re done. Next, we need to have Gmail automatically add this label to your order notification emails as they arrive. I’ve already set up this filter as you can see with the green circle below; I’ll walk you through how I did that. Make sure you’re still in the Settings gear icon and navigate to Filters and Blocked Addresses. Scroll down and click create a new filter. When the window pops up, fill in whatever fields are necessary for Gmail to identify a new order email. If the subject line is the same for all orders, you can use that (see my example below). You could also add a “to” address (as I did below) if you only use that email address to receive order payments and it is not used for any other correspondence. 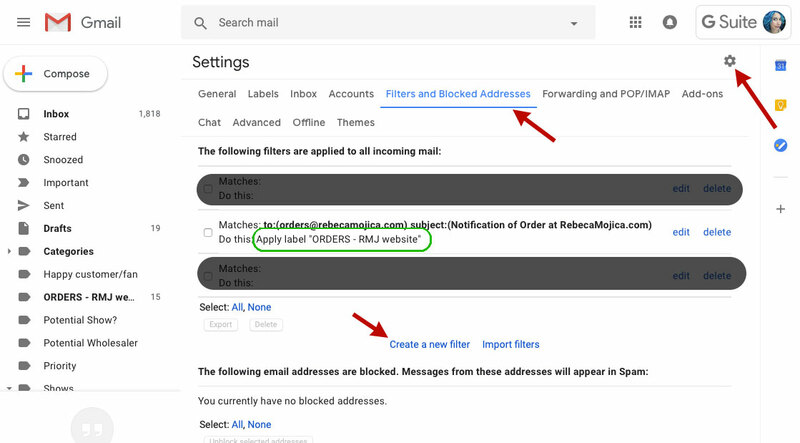 If all your order notification emails originate from an email address that is only used for order notifications, feel free to add it in the “from” field. (However, if you want to test your filter after creating it, then don’t add a “from” address just yet.) Click Continue when you’re done. You could also add a phrase to “has the words” if there’s a particular sentence that always appears in order notifications but is unlikely to ever appear in any other email you may receive. Put a checkmark next to Apply the label: and select the label you just created a few steps ago. Click Update filter. NOTE: If you want to test to make sure the filter works, simply send a test message to yourself that meets all the filter criteria (subject, to, etc). If you receive the email but the label doesn’t show up, go back and check to make sure the criteria is correct. 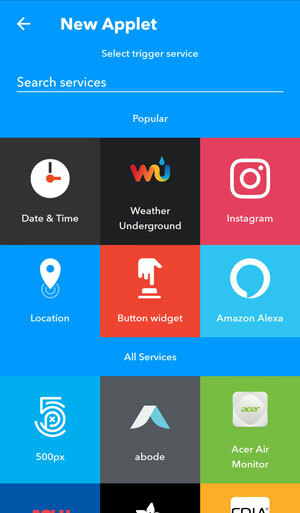 If you haven’t already installed If This Then That, go do that now. Depending on how tech-fluent you are, there will be a small or medium size learning curve with this app. It’s pretty fantastic once you get the hang of it. 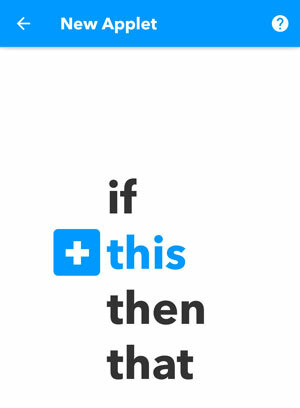 You might want to try playing with a few simple, pre-made IFTTT applets just to get the general idea of how it works first. 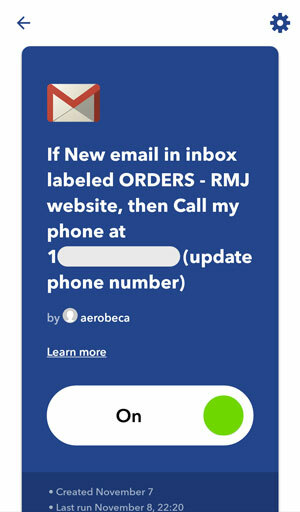 When you’re ready to create your applet for new order notifications, tap the plus sign. You’ll see this screen. Tap +this to continue. The app now prompts you to select the trigger for your applet. 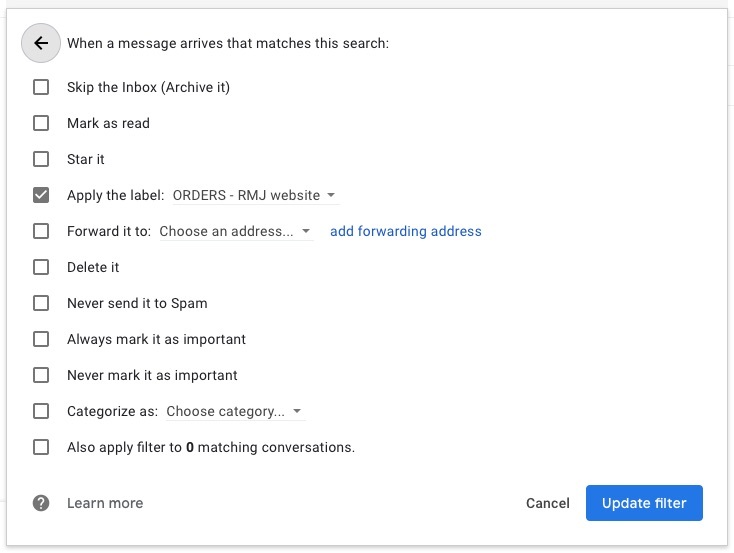 In the Search services field, type Gmail. 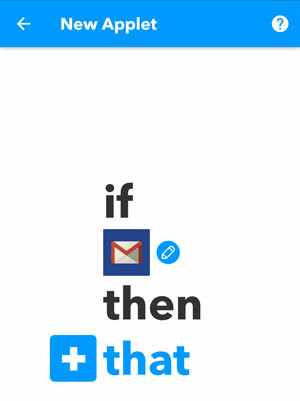 NOTE: If you haven’t connected your Gmail account to IFTTT, you’ll be prompted to “Connect to Gmail to turn on Applets” and will need to follow those prompts before proceeding. 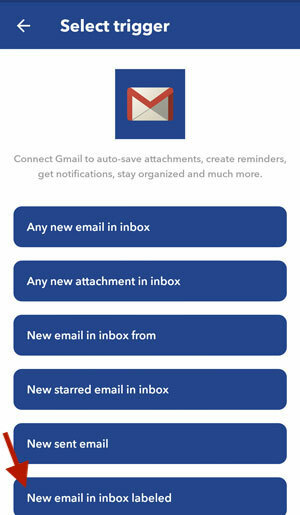 Select new email in inbox labeled. You’re now prompted to enter your label. 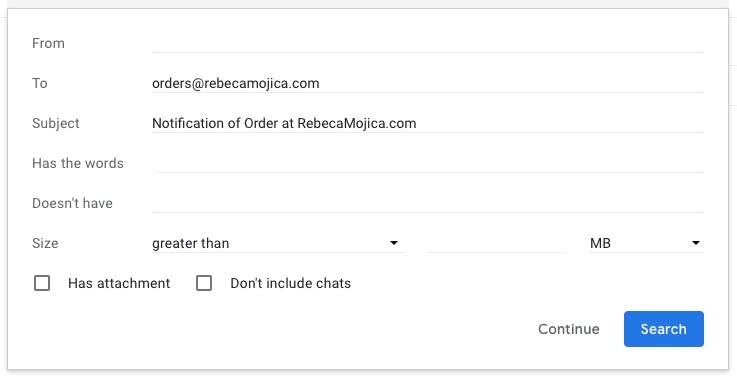 Be sure to type your label EXACTLY as it appears in Gmail including any special characters and spaces. The label is case-sensitive. Tap Create trigger when you’re done. Now we need to tell the applet what to do when you receive an email with that label. Tap +that to proceed. 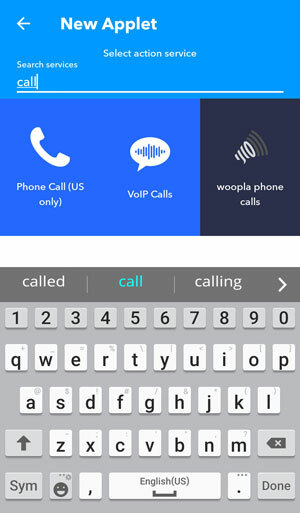 Type call in the search field, and click the Phone Call icon. There’s only one option here, so go ahead and tap Call my phone. A default message appears, as shown below. 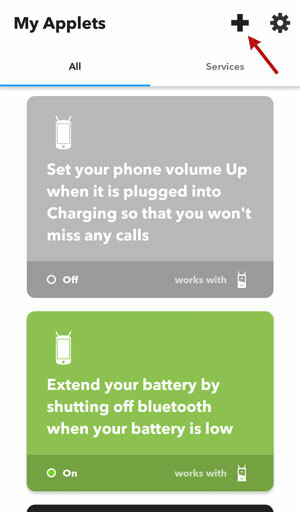 This is the message the robo voice will deliver when IFTTT calls your phone. That’s kind of a boring message, so I changed my message as shown below. 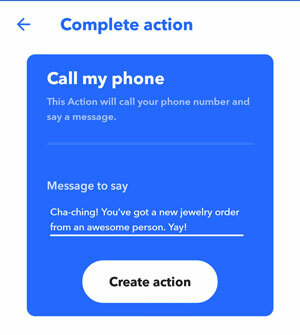 Go ahead and type whatever you want, no matter how absurd—It’s fun to make robots say silly things!—and tap Create action when you’re done. You’ll see a preview of your applet. If everything looks good, tap Finish. 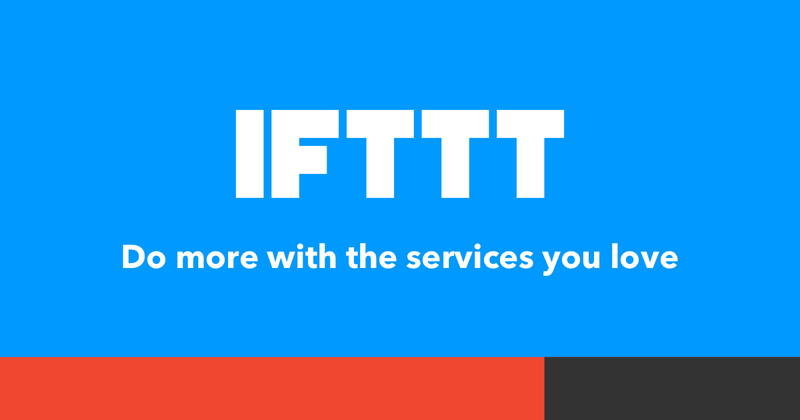 Be sure to toggle the applet “On” before you leave IFTTT and go on to the final stage. 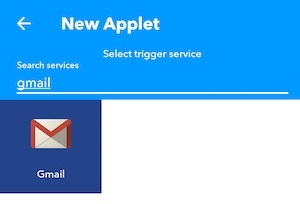 To make sure the applet is working properly, send yourself a test email as described at the end of stage 1. It may take a few minutes for the applet to run and your phone to ring. 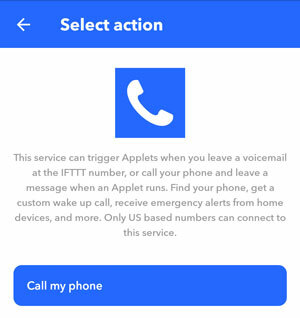 It’s important to do this test, not only to make sure the applet works but also so you can grab the IFTTT phone number from your incoming calls log and add them as a contact in Stage 3. 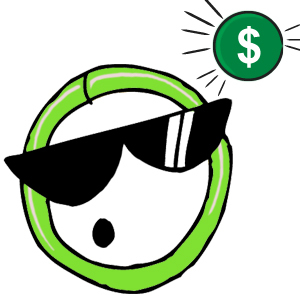 I have Dropbox connected to my phone, so I saved my cha-ching sound to Dropbox and grabbed it from there. If you don’t have a cloud service you may need to email the sound to yourself and download it to your phone. 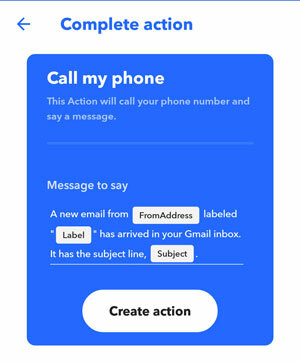 If you tested the applet at the end of Stage 2, you should have an incoming number for IFTTT in your call log. 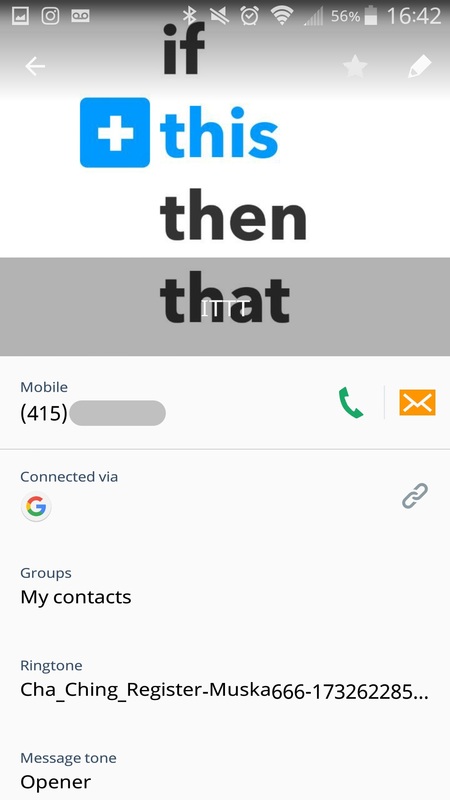 Add the number to your contacts and edit the entry with your custom ring tone. Ta-da! Pat yourself on the back, you’re done! Sit back and wait for the “cha-chings” to come in! Questions about this? Did you try it? Leave your comments below!